I love music. My kids love music. We sing a lot, listen a lot and make up our own songs. Like many homeschoolers, we study different composers and learn about all types of music. It's pretty common to see "Peter and the Wolf" by Prokofiev recommended as a good way to introduce young children to classical music, and it's been a favorite at our house, for sure. Maestro Classics offers a great series of music CDs for children (generally ages 5-12) and families called Stories in Music™, and includes a fabulous edition of Peter and the Wolf, along with several other titles, which are a fun and educational way to bring music into your home. 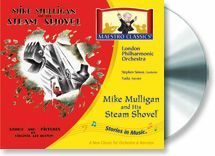 I was thrilled to have the opportunity to review two fabulous CDs from Maestro Classics: Mike Mulligan and His Steam Shovel and Casey at the Bat. It was difficult to decide which titles we wanted to review, because they all looked excellent, but I went with the ones I thought my youngest child, who is 6, would enjoy most. He did love them, and so did my girls who are both teenagers, and so did I! In fact, we may have enjoyed them even more than Isaac. The music is conducted by Stephen Simon, a well-known symphony conductor and father of six. The Stories in Music concerts premiered at the Kennedy Center! On the CDs, the music is performed by the London Symphony. It is narrated by Yadu, who is actually a professor of humanities at Minnesota State University-Moorhead, and has narrated performances at the Kennedy Center as well as for the Young People's Concerts with the Washington Chamber Symphony. Maestro Classics' lineup includes both classical music selections, and well-known stories for which Mr. Simon has composed musical accompaniment. We reviewed two of the story-telling CDs. We popped them in the CD player in our car and listened to them as we drove around. They made our car time lots of fun! Mike Mulligan and His Steam Shovel is one of our favorite books, and one Isaac requests to hear over and over again. The CD began with the story narrated alongside the original musical accompaniment – we even heard a bit of Irish brogue in Mike Mulligan's voice. Then we learned about the author, Virginia Lee Burton. There is a special "Mike Mulligan Song," and Mr. Simon talks about how the music came together. The is also a 24-page booklet containing fun puzzles and more! Casey at the Bat is such a fun poem. The music and narration created quite a picture; I could see the story playing out in my mind as we listened. We loved learning the story behind the poem (no spoilers - you'll have to get the CD!). There are also some tracks on this CD about the ways music can tell a story without using words. It's great stuff. The booklet that comes with the Casey CD includes the complete text of the poem, as well as more fun puzzles and other information. 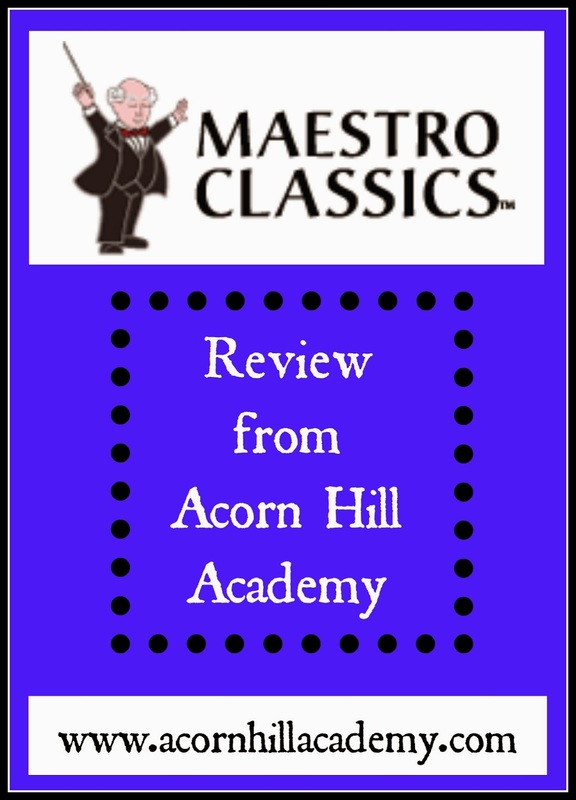 Maestro Classics also has homeschool music curriculum guides to go along with many of the CDs. The information and links provided are excellent. Maybe your child is like my son, a Mike Mulligan fan, and they will want to know all about how steam shovels work. Perhaps you're studying the Industrial Revolution and want to find out more about how steam shovels fit into the picture. Maybe you're interested in math and want to know just how much dirt a hundred men can dig in a week! There is lots of great information there for all kinds of rabbit trails. 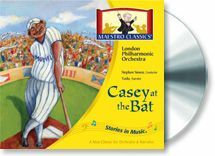 Casey at the Bat and Mike Mulligan and his Steam Shovel, as well as the other titles, are available from Maestro Classics. They are $16.98 for a CD or $9.98 for an MP3 download. These are an excellent music resource for any family, and I hope you'll check them out! Connect with Maestro Classics on Facebook, Twitter and Pinterest!